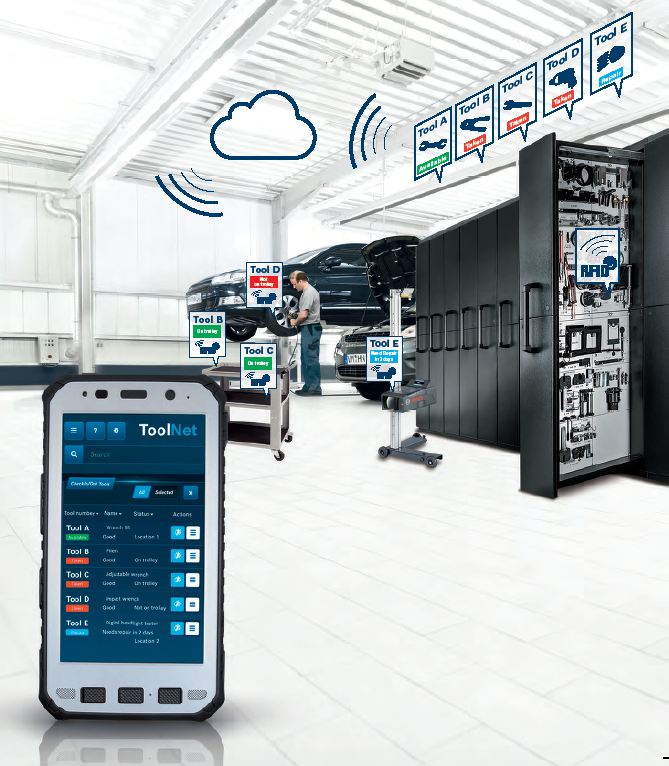 The smart inventory and tool management ensures and optimizes the workshop’s service readiness. ToolNet increases the efficiency of businesses by functions regarding the use, maintenance, rental and tracking of tools managed by the cloud. Using different tracking technologies such as RFID, ToolNet extends the Internet of things to all tools and equipment used in workshops. The main objective of this interconnection is a digital reproduction and optimization of workshop and repair processes.